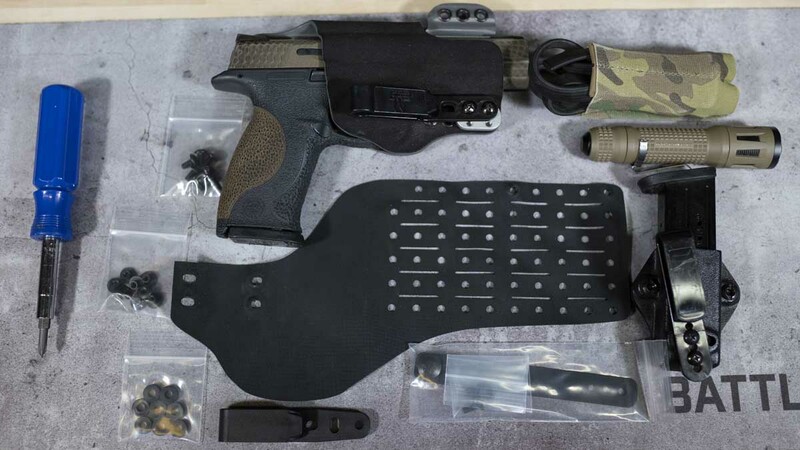 In a market flooded with specialized and sometimes not so useful EDC gear, PHLSTER Holsters may have found the Goldilocks zone. 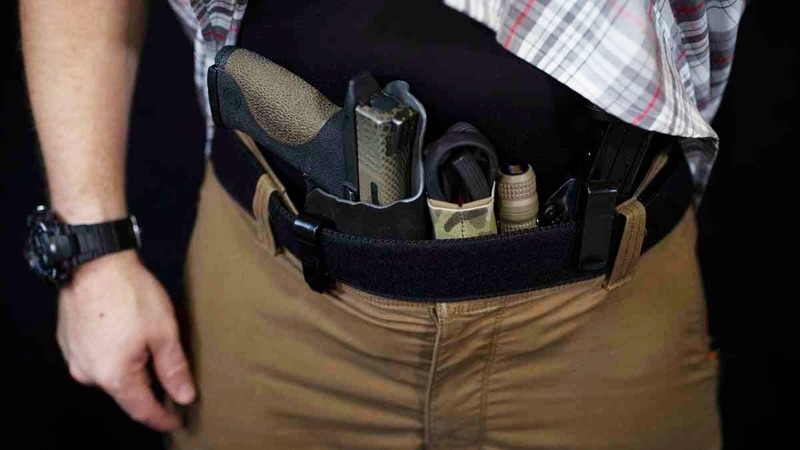 The PHLSTER Flex gives concealed carriers an easy and versatile new option for carrying their guns and gear. Laser cut from lightweight, breathable Hypalon plastic, the Flex allows users to configure their EDC gear into “one grab-and-go” package. In other words, it’s a platform for holding a pistol and other self-defense tools. The base has evenly spaced holes for mounting Kydex, Boltaron or plastic magazine carriers. Using the included hardware kit, you can attach elastic pouches that use Velcro tabs or other flexible mounting systems. 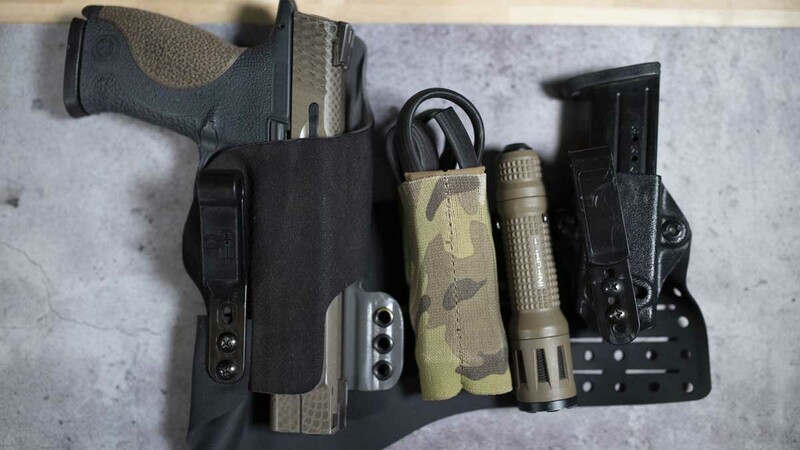 Because of this, the Flex is compatible with almost all holsters and accessory pouches on the market giving it impressive versatility. 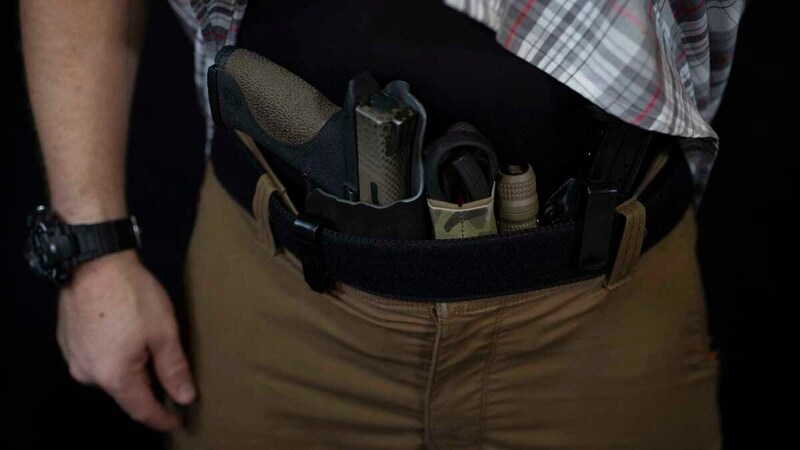 PHLSTER sells Micro, Mini, regular and large versions of the Flex, which can be attached to each other allowing you to create a variety of options for a concealed carry setup. 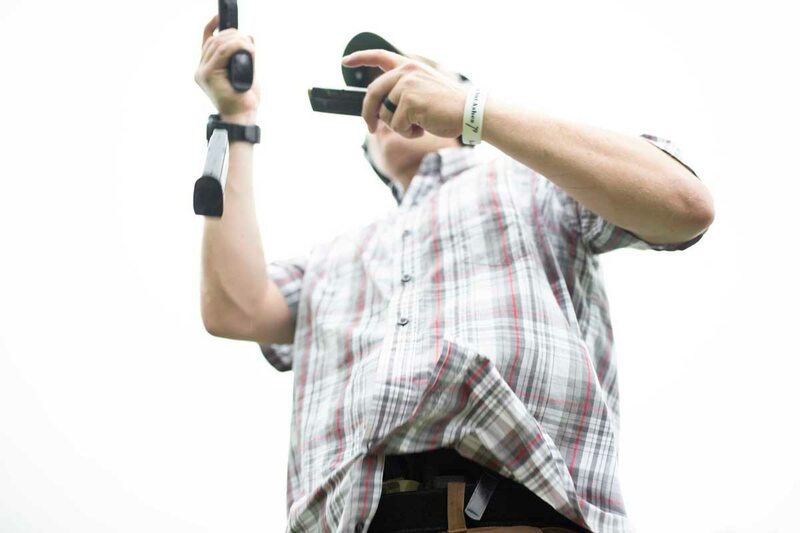 In addition to versatility, the Flex is surprisingly comfortable and concealable. Securing items directly to the Flex instead of a belt reduces the amount of hardware needed for lowering the profile. The way in which the Flex fits also rids the need to position gear around belt loops or a belt buckle, which means consistent placement of items regardless of clothing choice (think track pants or shorts). Another bonus is that – true to its name – the Flex moves while keeping everything in one secure position, which is pretty important for a fast, consistent draw stroke and presentation of firearm. These days it seems like a lot of EDC gear is merely a solution in search of a problem. But far from being another poorly thought out attempt to make money, the PHLSTER Flex seems like a carefully planned and ingeniously executed piece of equipment that brings real value to the user. Durable, versatile and easy to customize the Flex deserves a serious look by anyone who wants to step up their EDC game.